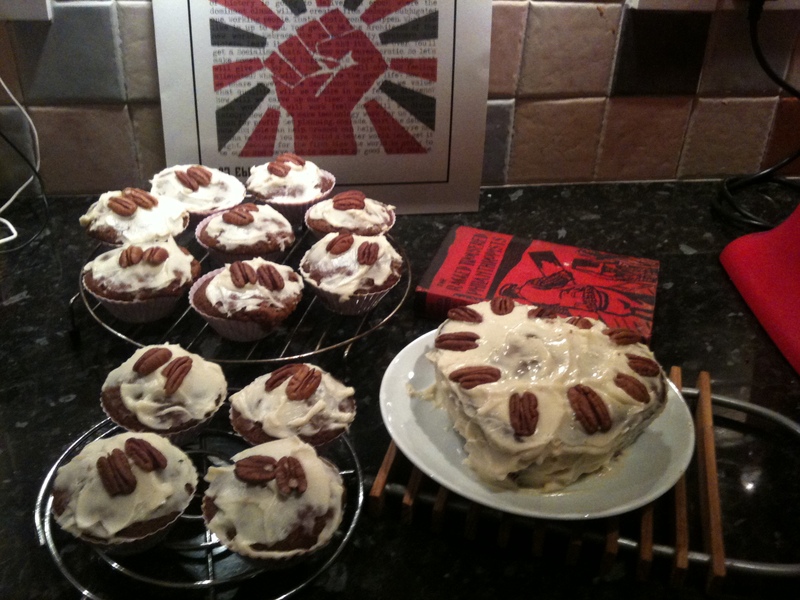 Babyface’s mother – Mommaface – was kind enough to give me some lovely new baking equipment as a present, so I’ve put it to good use here with muffins and a cake based on my Gender Inclusive Carrot Cake. The cake was in the oven for 50 minutes, but the muffins take just 35 minutes – which just happens to be the length of our newly-released LP, At Ebbw Vale. Tasty.